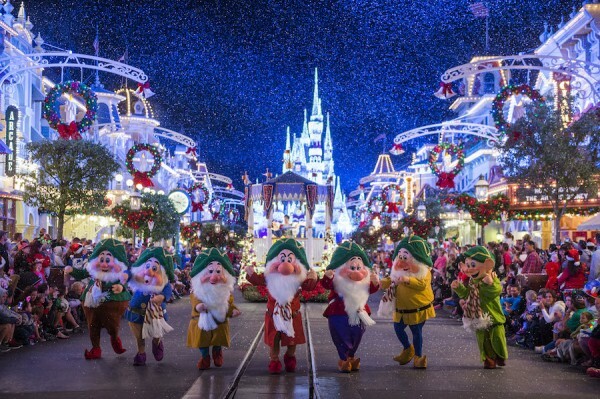 Mickey’s Very Merry Christmas Party at Magic Kingdom hosts 20 nights of Yuletide cheer from Nov. 8 – Dec. 18, 2015. From 7 p.m. to 12 a.m. during select nights at Magic Kingdom park, this annual ticket event will bring Christmas joy to guests of all ages with festive decorations, towering Christmas trees, and wintry wonderful entertainment. New this year in Tommorrowland, the acclaimed contemporary a cappella group VoicePlay gives guests an unforgettable holiday concert experience. VoicePlay, who appeared on the TV show “The Sing-Off,” will share their incredible vocal harmonies and holiday cheer between performances of “ A Totally Tomorrowland Christmas” at the Rockettower Plaza Stage.